With TheTokener Explains we are investing in online educational material for Distributed Ledger developers and crypto enthusiasts. Currently, only the first video and text episodes of the tutorial "Beginners Guide to Solidity Development" have been published. All of the content will be available for free. In this chapter, the concepts of Ethereum, Smart Contracts and Solidity are quickly introduced. 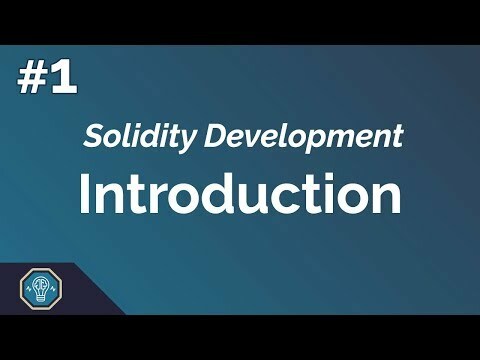 This is part 3 of our video tutorial series: Beginners Guide to Solidity Development. This time we talking about changing data, specifically transactional functions. In this episode we will be talking about variables and the types variables are allowed to have in Solidity. Types and variables are the core foundation that smart contracts are built on top of, so this is a basic, but very important concept to learn about.